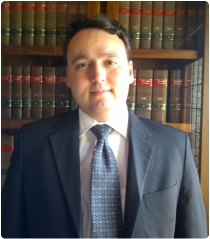 Peet Delport Attorneys, based in Pretoria, strives to supply the highest quality legal services at reasonable rates. We believe that all clients should not only receive satisfactory service, but exceptional service, and will point you in the right direction even if we are unable to take your case. Please consult our website at www.delportlaw.co.za for more information. Every case, and indeed every client, is different. Please contact us and inform us what your needs are, whereafter we can determine a suitable fee. We are willing to work on a 'no win, no fee' basis on certain cases.